“I chose the course because my friend did it with Lloyd a few years ago and spoke very highly of the course and Lloyd. He is now the owner of a very successful barber shop in Australia where I am going to work also. I found the course brilliant. Lloyd was excellent and always on hand to point us in the right direction. 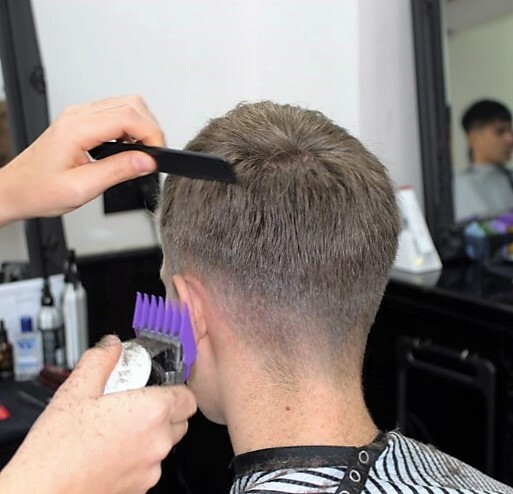 The small class was the perfect size for him to be able to advise everyone adequately and the fact that it was a real shop with real clients really gave us the experience and confidence to move into real a salon at the end of the course. I would highly recommend the course to anyone thinking about this career. 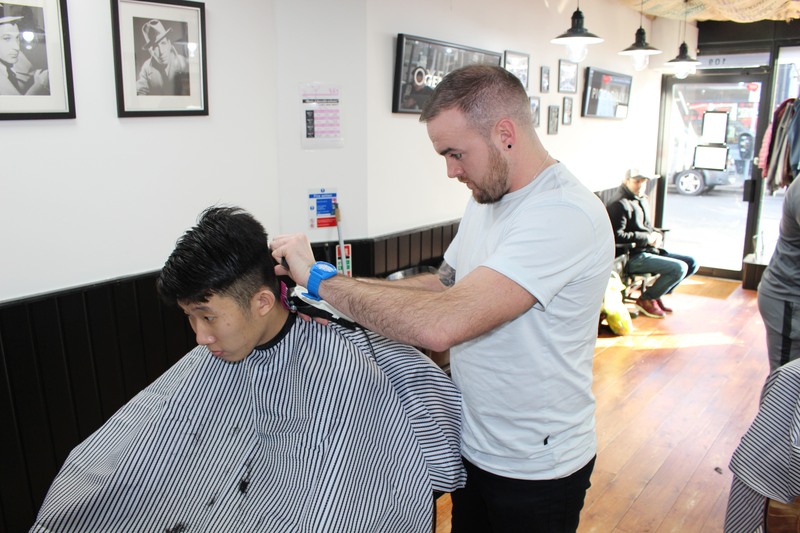 Lloyd is a very talented barber with great experience and shares his knowledge of the trade which is easy to absorb and learn from. “My names Jay and I went on Lloyd’s NVQ level 2 barbering course. I heard about the course from my barber back in Swansea he said it would be the best course to go on. Its intense but very fun, everyone has a laugh together, Lloyd is really helpful, and the small classes are very good because Lloyd can spend more time with each person. It’s probably one of the best things I have done I have meet some great people. The fading day with Matthew was helpful because it can push your cuts to the next level and is a really fun day. Due to the course I have gained a job a week before the course has finished which if this has happened Lloyd is doing something right. Can’t fault the course best thing I’ve done. “I came to do the course, after swapping careers and found that it offered the perfect balance of been very professional and of a high quality of training. The small class sizes give you plenty of one to one training. It’s been an amazing experience. 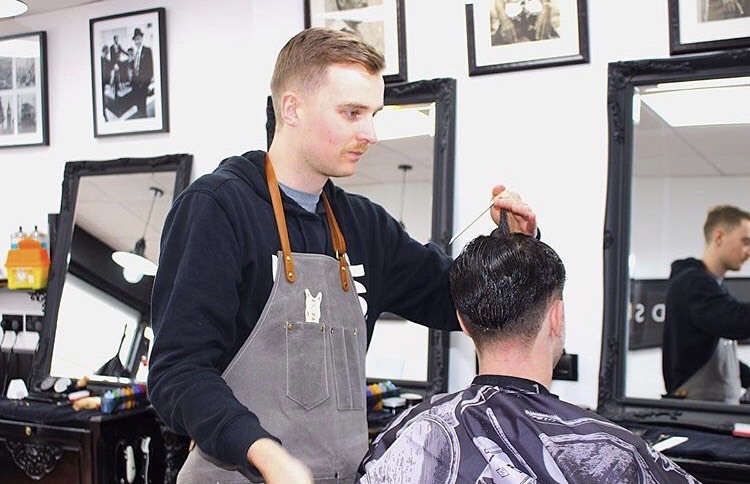 Lloyd has been very helpful with every question I have asked, helping me get the clarity I have needed to go from strength to strength with both my confidence and competence as a trainee barber. I now feel ready to go straight into a full-time career as a professional barber. 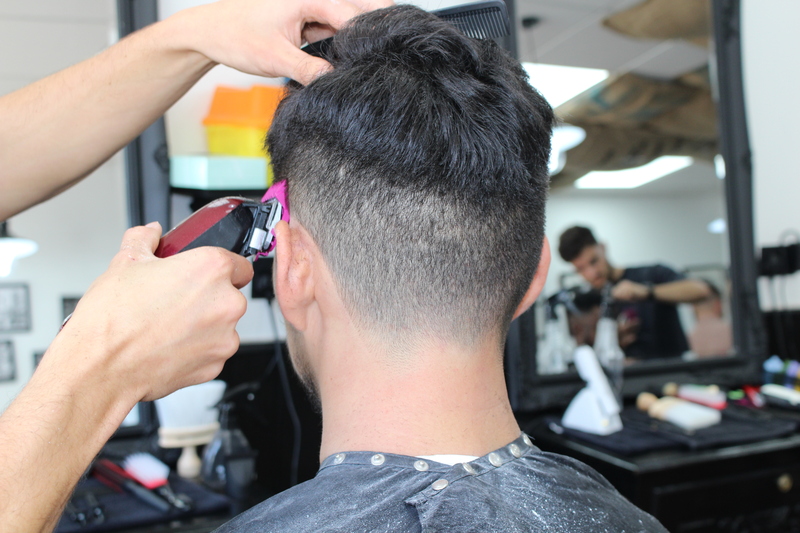 The 9 weeks are broken up into a perfect mix of theory work and understanding the basic techniques, building through more advanced techniques whilst giving you all the information needed to work in a barber shop or salon. 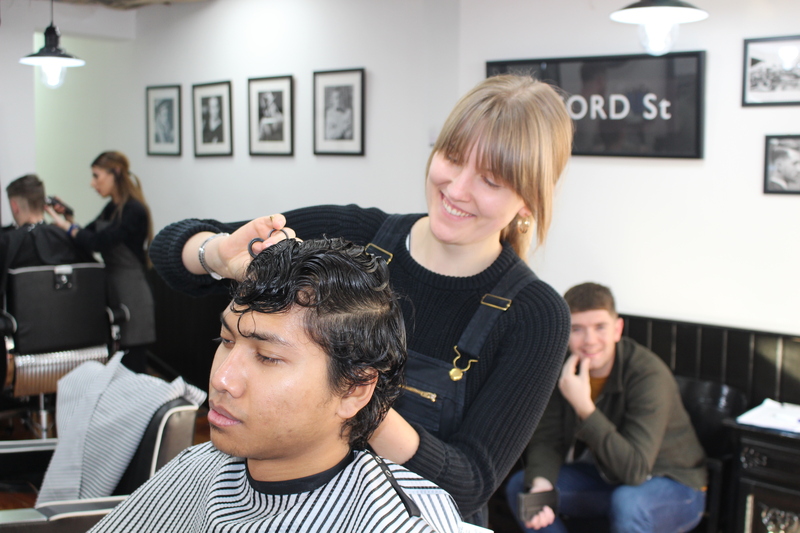 We then went into cutting live models, giving you a real experience of what it will be like in your new career. 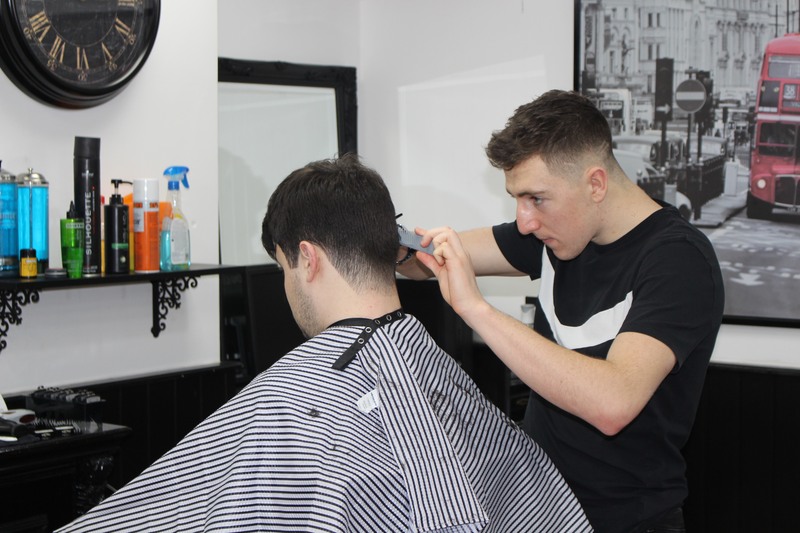 This course is the perfect way to learn to be a barber, the small class sizes confirm how much Lloyd cares about each student and them been trained to a high standard. If you want to be a barber with a high standard in cutting, customer service and care, then you seriously won’t find a better one, taking this leap of faith to finally change careers, has been the best decision I’ve made. I chose this course because it had great reviews at a reasonable price. The first day I met Lloyd he put me at ease and explained what we were going to be doing on the course and made me feel comfortable asking about anything that I was unsure of. The course is great as it has a good balance of theory and practical. Lloyd manages to make the course fun but always keeps it on a professional level . The 9 weeks have flown by, and I’ve learnt more than I could have ever imagined and have honestly had the best 9 weeks of my life. I definitely recommend it anyone who is looking to get into the trade at a high standard, and I can’t thank Lloyd enough for everything he’s done for me. EarIier this year, I was looking to find an intensive barbering course at a highly-regarded establishment and, ideally in commutable distance from my home in Bristol. After some research, it stood out from the crowd and was simply a ‘no-brainer’… I signed up immediately. Upon just completing the course, my experience did not disappoint and lived up to every expectation. Myself and my fellow students all received fantastic one-to-one tuition from Lloyd. We practiced a huge variety of cuts on our live models. The barbershop environment was warm, bright and welcoming and a pleasure to spend every day over the past 7 weeks. It’s amazing to look back to day one and see how far our skills and confidence have all come, and I cannot thank Lloyd enough for his humour, time & patience. Highly recommend! My experience on the 9 weeks NVQ level 2 diploma in barbering was awesome. Absolutely mind blown on how much I learnt. It has also been really fun. I cannot think of a single thing I haven’t enjoyed about the course (other then cutting myself with the scissors). The class sizes are perfect, a lot of 1 on 1 which is very useful. 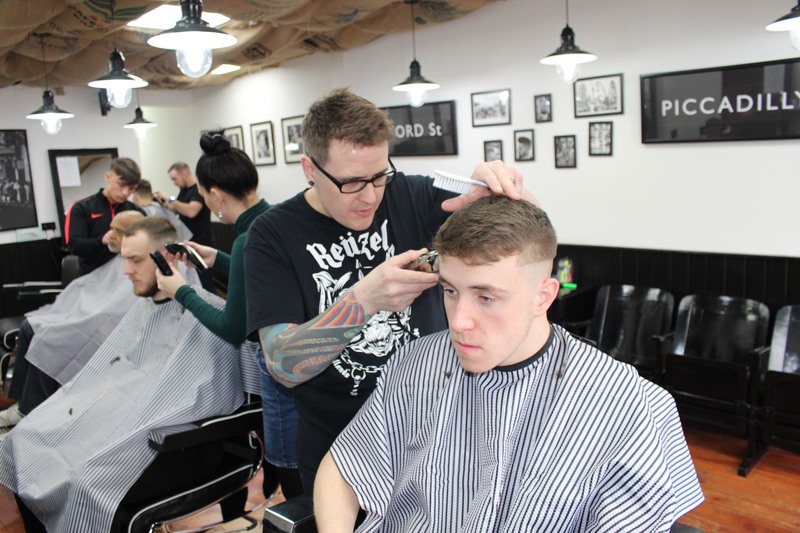 Before starting the course I looked around at other barbering courses and found that this course had the smallest class sizes for roughly the same prices of other courses I looked at. By far the best investment I could have ever made. I have built my confidence up everyday to a cutting standard where I can charge money for a hair cut. I am on my last week now and I will be sad to leave. Lloyd’s teaching made it so much easier, most patient man I have ever met. I would highly recommend this course to anyone wanting to enter the barbering industry. I’ve wanted to become a barber for a few years now and after doing months of research on different courses I came across the academy, living in Swansea, and with the course being in Cardiff I thought this would be ideal, and I was right, ever since the first day of meeting Lloyd and the boys I knew this was the best place for me to learn the trade, with the class only being small, you really get the one to one training needed to learn the trade. If anyone is seriously thinking about doing a barbering course then I would highly recommend you look no further, made a friend in Lloyd and the other boys, and will miss the course a lot, topman Lloyd, and thank you for everything. I had been working in an office job feeling miserable for a few years and wanted a change. Thomas Lloyd Barbering Academy was recommended to me by a friend who was a working barber so I decided to take the plunge. Working in small groups with Lloyd was extremely helpful and I had as much time as I needed as well as having a great time learning. I got everything I needed from the course to start barbering straight away. I have been working full time in the industry from the day I qualified. 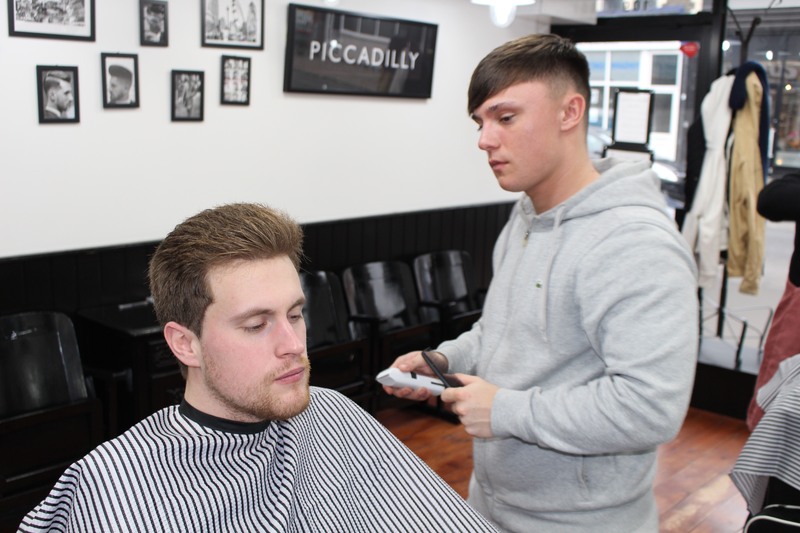 Taking this course changed my life for the better and I cant recommend it enough for anyone looking to make a change and committed to barbering.